There are many reasons why the business world is quickly adopting blockchain, but one of the most compelling is its smart contracts capability. For a construction company, a smart contract (crypto contract) offers a computer program that acts as a quality assurance feature. Even now, construction companies are starting to use smart contracts on both B2B and B2C projects to protect themselves and their clients. The smart contract contains agreement terms based on "if A, then" conditions. When placed in a smart blockchain contract, the terms literally "come alive" so each party can more easily manage their part of their contractural obligations. For example, if a contractor is hired to install a new light fitting, he can request payment after completing his services. If the client has reviewed the work and is satisfied, he can approve the transaction and the contractor can receive payment directly to his block on his chain (hence the term "blockchain"). The same principle applies when contractors work with suppliers, manufacturers and subcontractors. And if they add sensors from the Internet of Things to their system, they can actually confirm when the work is completed. In that sense, smart contracts will allow everyone involved in a project to push for higher standards of service. Anyone can set up conditions such as deadlines, materials, certifications, safety standards, price and any other requirement to guarantee the success on a project, on time and to budget. These conditions form the smart contract, which is stored on the blockchain to monitor progress and ensure that requirements are met. At the same time, smart contracts also serve as security for all clients and contractors involved in a project. Every transaction is collateralized with cryptocurrency, so if anyone is unsatisfied with the quality of work, they can receive a refund unless the requested changes are made. And, once it is on the block it cannot be changed. The construction industry will also see an increase in security across the supply chain, both regarding supplies and people involved in a project. Here's how it would work: Users receive a unique Digital ID which represents the primary source of identity confirmation on the blockchain. Then when a client or contractor hires someone, they use the ID to uncover critical professional information required for the project without actually accessing any private data. In the same way, contractors can use Digital IDs to verify vendors and manufacturers, and over time, grow their reputation based on their quality of work. In addition, clients can use Digital IDs to check contractors before hiring them to ensure that they have the required certification or security clearance to perform the project. Regarding supplies, contractors can use blockchain to verify their orders and track movement until delivery, because each block contains information about the transaction that is time-stamped before being added to the chain. Contractors can also use the transparency of information and absence of intermediaries or gatekeepers to obtain material from anywhere in the world. Both the contractor and supplier receive a copy of the ledger which serves as a record of the transaction. After the goods and materials have been delivered and inspected to verify the order, construction companies can make the payment directly onto the wallet (bank account) of the supplier by using cryptocurrency. This kind of blockchain application gives greater independence to contractors, who can rely on every available supplier to source the best material at the lowest price. It’s also more efficient, enabling the contractor to track the progress and know the exact time of delivery. And with order verification before payment, contractors will never overspend on supplies. Construction companies working on the same project can combine multiple smart contracts to develop a decentralized autonomous organization (DAO). This organization will run on blockchain technology and administer the rules encrypted in its computer programs at the start of the project through the in-use phase. There is every reason to believe that a DAO could manage the entire life of a building from the moment it is conceived. In addition, clients can create groups of smart contracts based on requirements and conditions to outline the project during the construction phase. Once in place, the DAO can start carrying out tasks to complete each smart contract. The DAO will manage the logistics of the construction, facilitating work between the client and different contractors involved on the project. In theory, the DAO could independently oversee design, tenders, installation, approval, certification and hand-over of the building to the client once the project is done. Similarly, a DAO could incorporate blockchain with a Building Maintenance System to preserve the living standards after construction. It could easily hire contractors once again to repair or install new fittings within the building. And as it inspects the work and deems it successful, it can complete payments using cryptocurrency from its wallet, which is connected to the wallets of residents of the building. Ready to Drive Change with Technology and Innovation? Blockchain technology is already here, and its future application in the construction industry looks bright. Although we are still a few years away from total use, investing in blockchain might be the smartest move your company could make right now to sustain growth in changing times. For more background on the enormous potential of blockchain, listen to our On The Brink podcast with Marton Ven as he talks about how TE-FOOD is applying blockchain technology to secure the food supply chain. 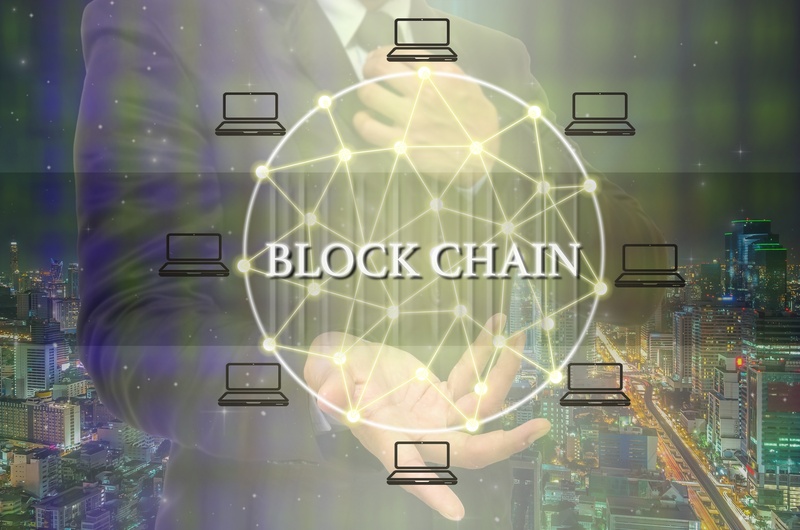 That's right, many industries, not just construction, are moving to blockchain systems to improve their supply chains with greater security and dependability. Why are we, as corporate anthropologists interested in the development of blockchain? At Simon Associates Management Consultants, we specialize in taking your company to the next level. We use our expertise to help you plan for the future and re-think your business strategy in this fast-shifting market. The construction clients we work with are facing new demands from their clients, intensifying pressure on labor and the realization that more of the same, cheaper is not going to keep them growing. We don't advocate a "wait and hope strategy." Contact us today and find out how our fresh new approach can help you and your business reach new heights and achieve meaningful business breakthroughs, today and tomorrow.